I had a spectacular time shopping at Target yesterday, I found so many great clearance deals. For you local folks, I shopped at the Factoria (Bellevue) Target. Keep in mind you may not find the exact same deals at your store since clearance deals can vary by location. On to the good stuff, here’s what I found. 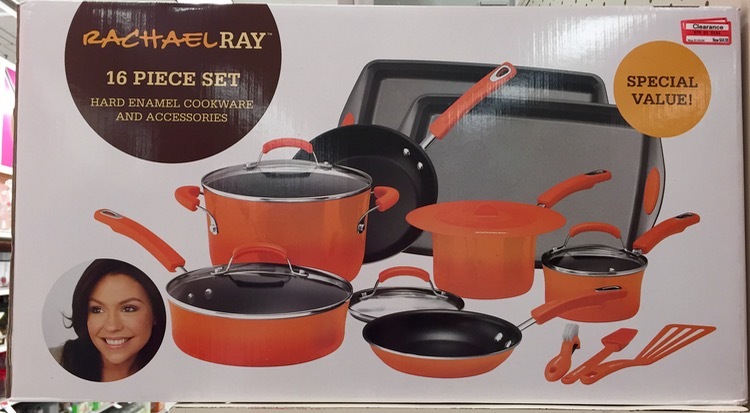 There were a lot of kitchen items marked down to 70% off including this Rachael Ray 16 piece set for only $44.98 (reg $149.99) Make sure you follow me on Instagram, when I am at Target I sometimes post directly to Instagram about great clearance deals because it is quick and easy. I posted this deal and many readers were able to find the same set. 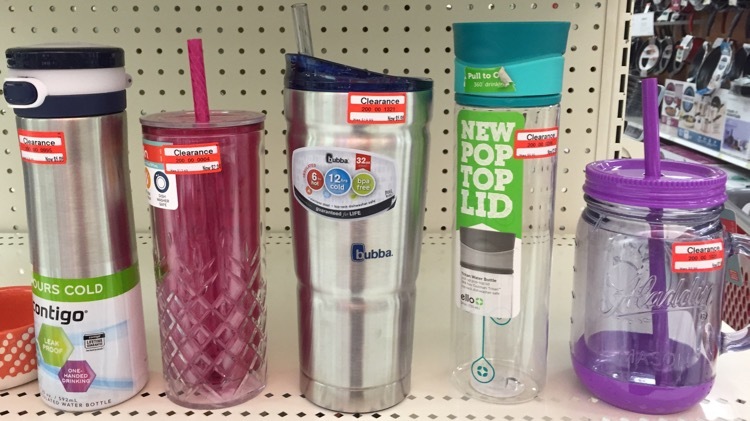 There were some water bottles at 70% off too. 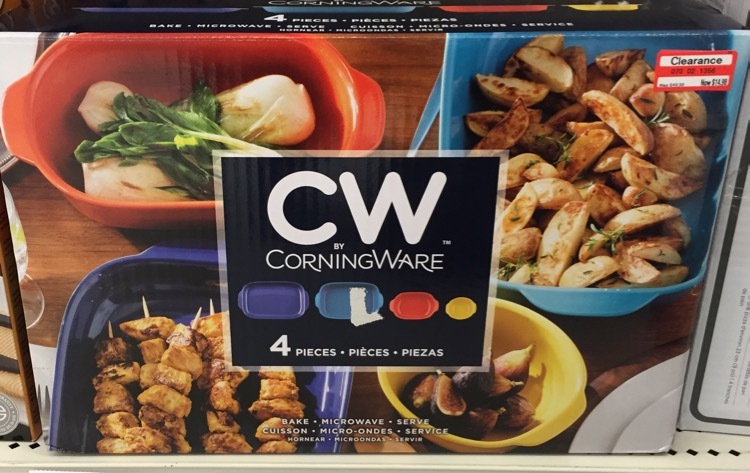 I love this 4 piece CorningWare set I found at 70% off. It was $14.98 (reg $49.99). I picked this up because wedding season is happening soon and I though it would make a great wedding gift. 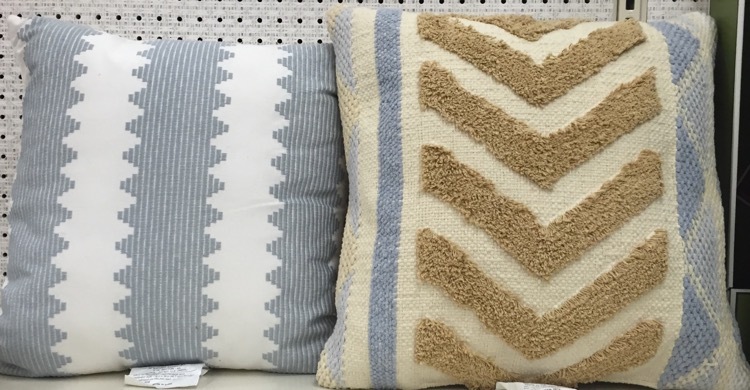 I also found a lot of 70% off markdowns in the home decor department. 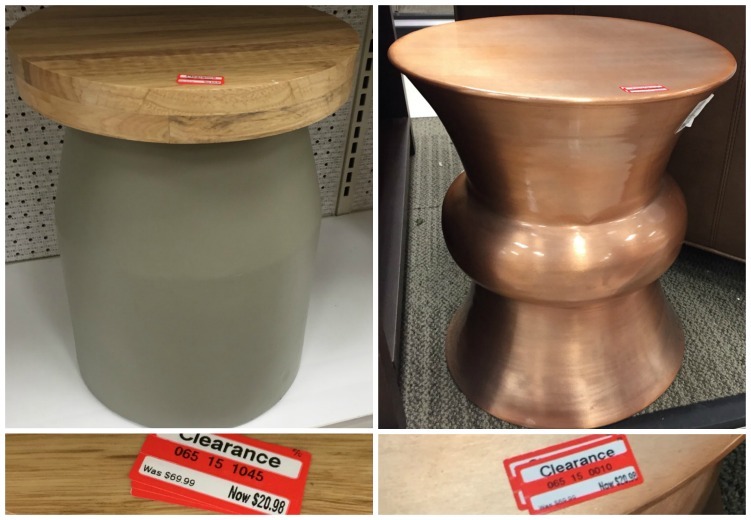 Both of these side tables were 70% off and priced at $20.98 (reg $69.99). I found several sets of string lights at 70% off. 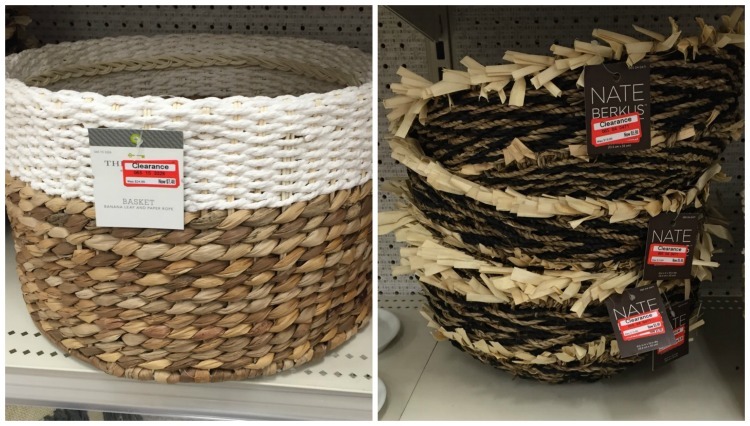 Baskets from Threshold and Nate Berkus were also 70% off. 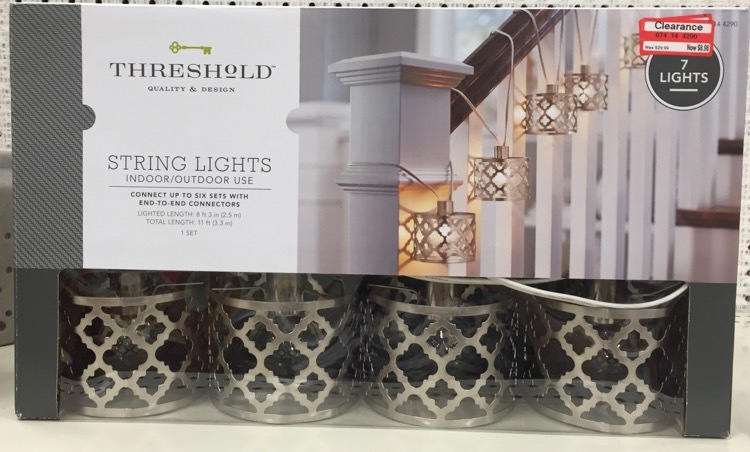 These candle holders were only $3.88 (reg $12.99). 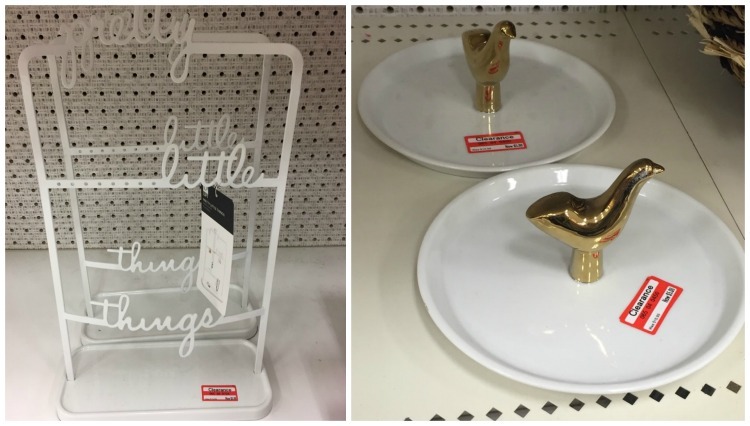 Brass figurines and pearl shells were 70% off. The jewelry holders FINALLY went 70% off at my store. I have been waiting for these to hit 70% off. The waiting paid off! 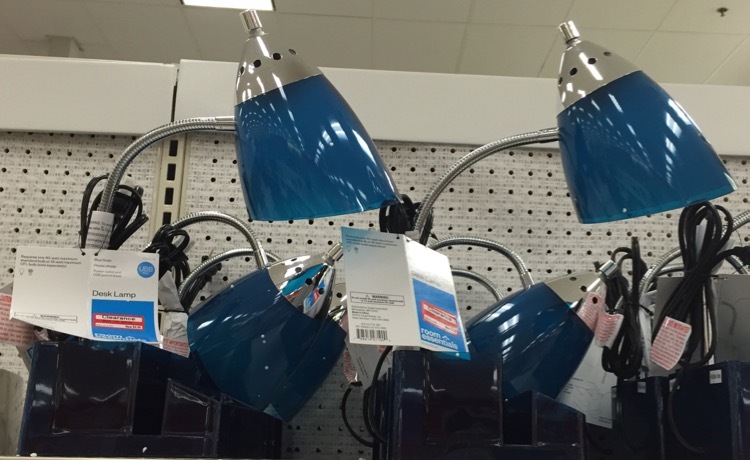 My store had an abundance of these student desk lamps priced at $4.48. They come in blue or black. 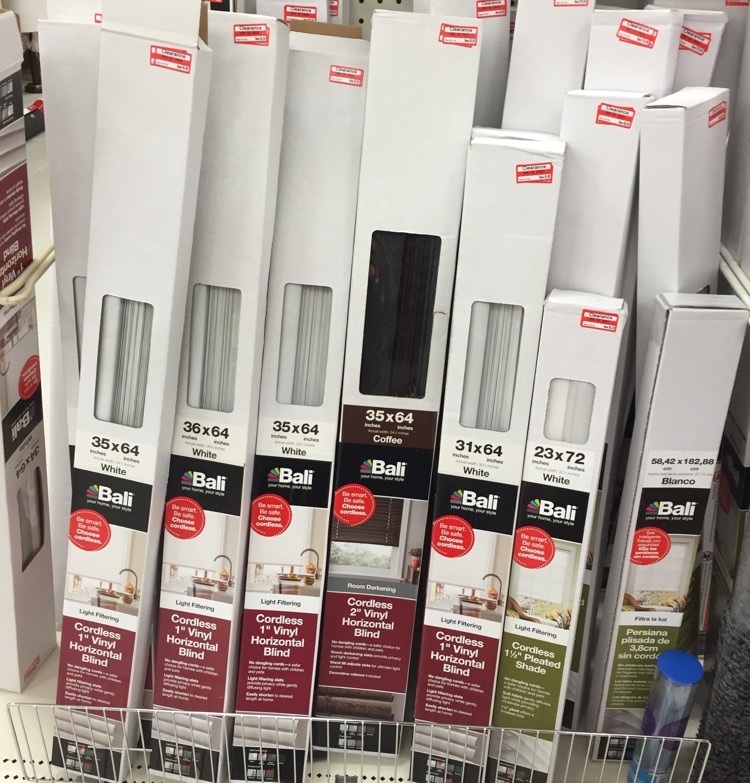 There were quite a few blinds marked down to 70% off. 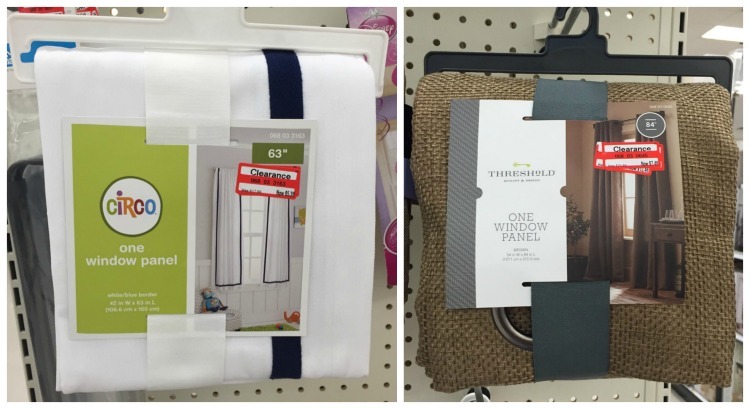 A few window coverings were found at 70% off. There were some fun activity kits for kids at 70% off. We own the RoseArt Roto-Motion Mixer, my son loves it. It’s a steal at 70% off. Pick it up and save it for Christmas or a birthday gift. I found some book on clearance for 70% off. Thanksgiving books for Easter baskets, that works, right? 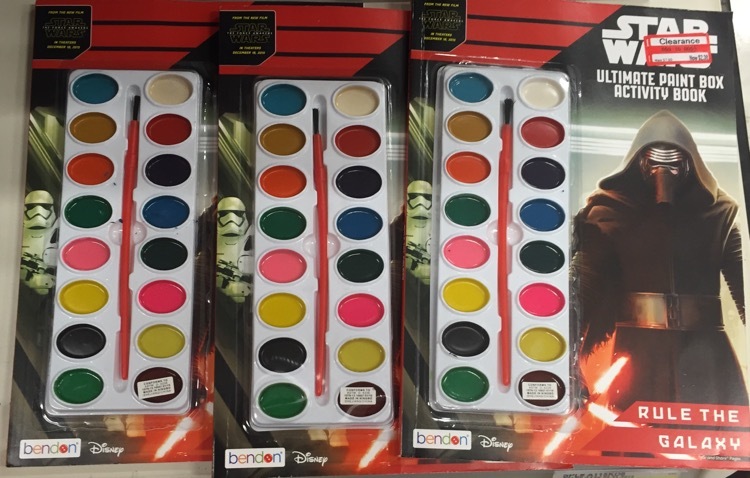 There were also some Star Wars activity books at 70% off. 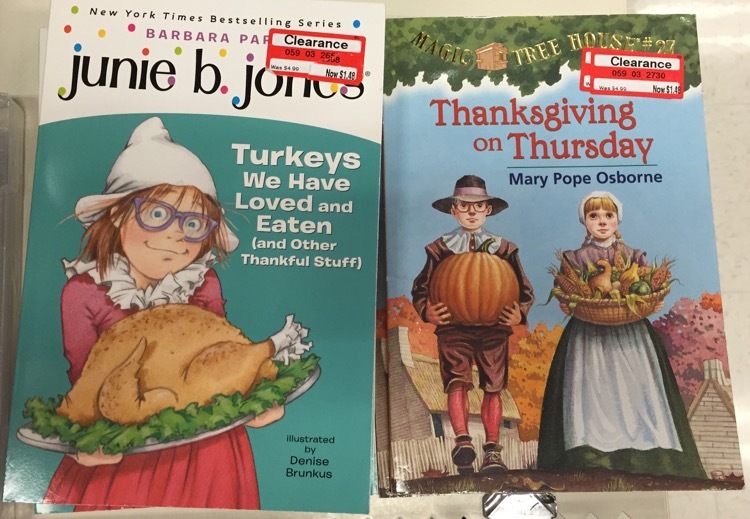 You will usually find the clearance books in the same section as the electronics clearance. 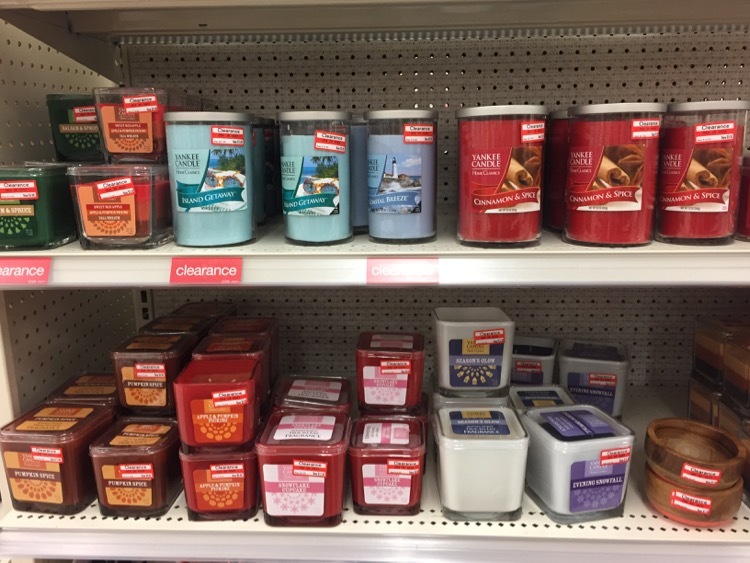 Lots of candles at 50% off. I’m waiting for 70% off then I will pick some up for myself and for gifts. Small space heaters were 50% off, these were $14.98. 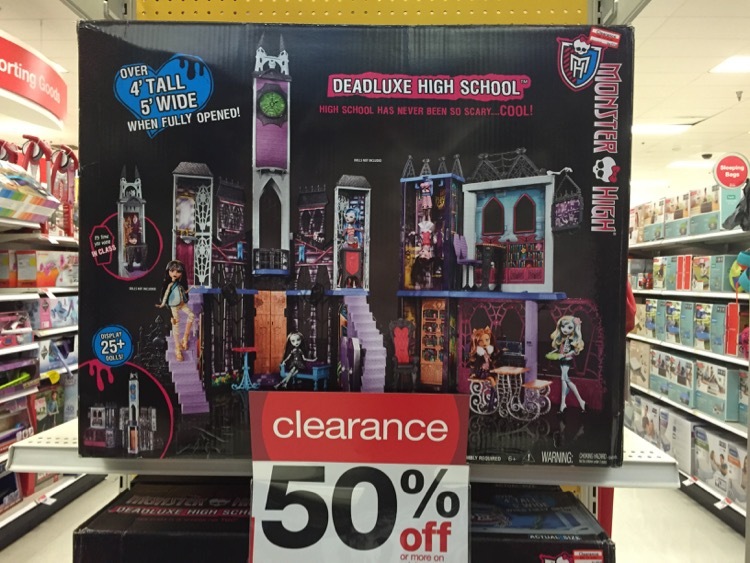 Big Monster High Deadluxe High School was 50% off . 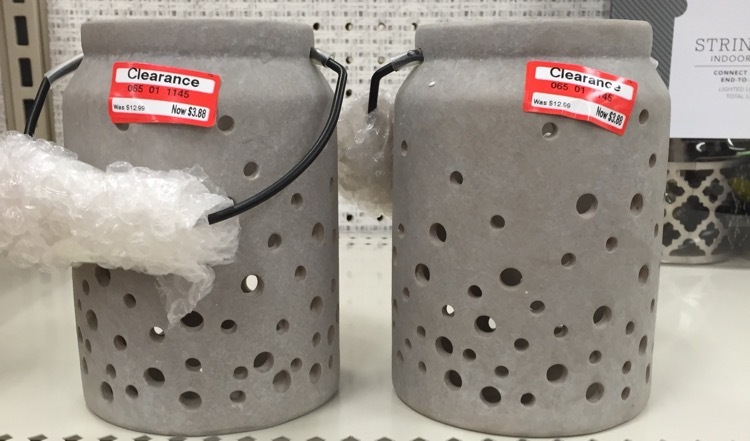 I have heard from a couple people that have found these at 70% off yesterday. 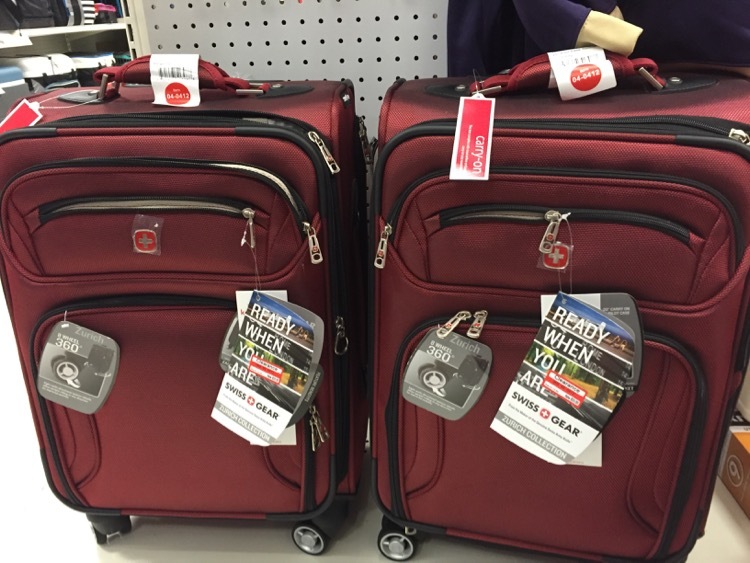 Swiss Gear luggage at 50% off, priced at $59.98. The majority of our family’s luggage is picked up at Target when they hit 70% off. I usually pick up one or two pieces when I see them at 70% off I know our luggage will wear out eventually then I replace them with the new ones. 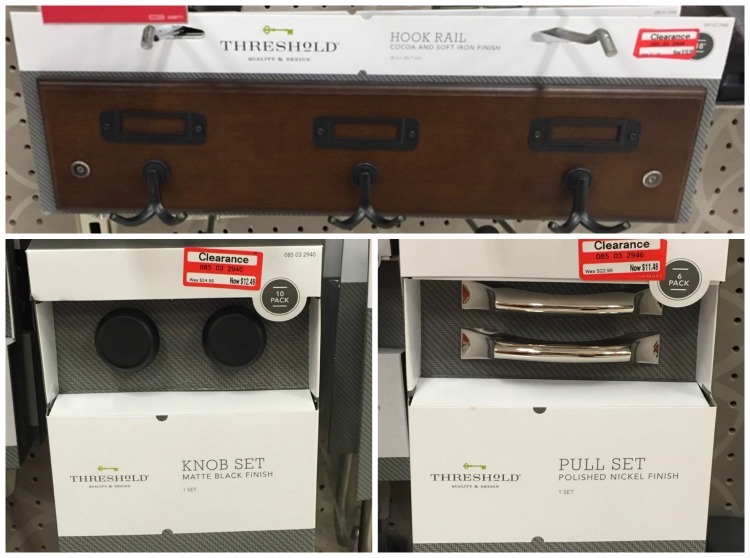 Racks and knob sets are currently 50% off. 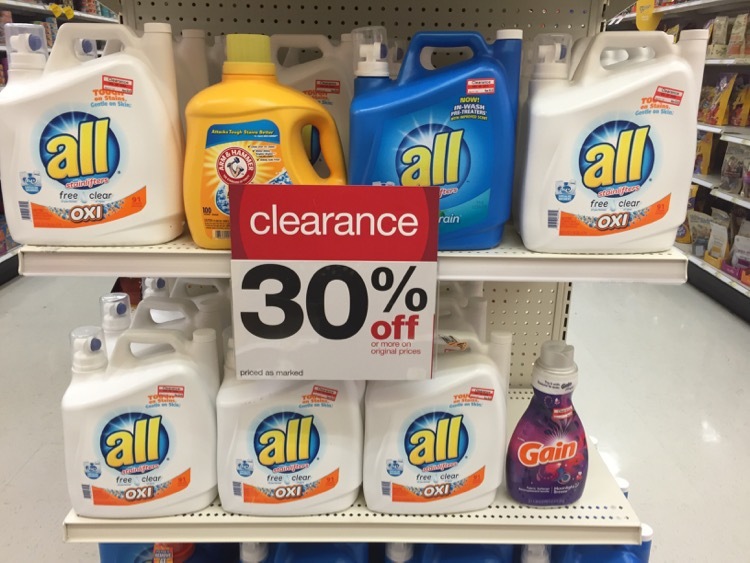 I found laundry detergent at 30% off. This will be great to pick up if they hit 50% off. There is a good chance you may find coupons to go with these clearance deals.